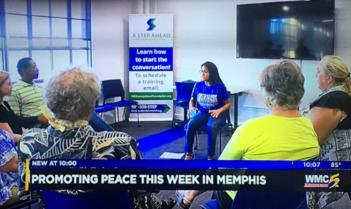 A movement to connect the dots between groups working to end racism, poverty and war, what Martin Luther King called the three evils of society. 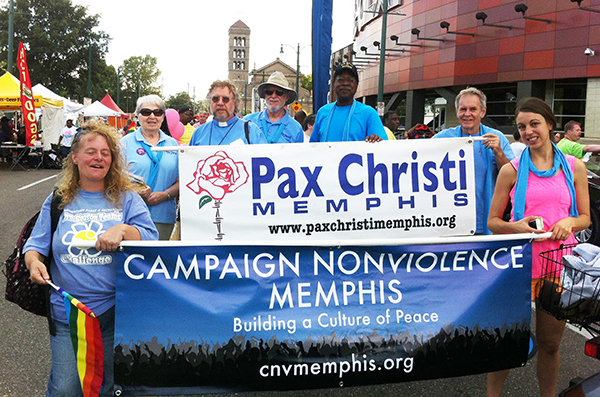 This September 15-23, 2018, Campaign Nonviolence organized its week of action with peace and justice groups across the world who staged marches, events, civil disobedience, etc. 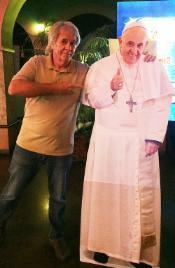 to stand in solidarity for the causes of peace and nonviolence. 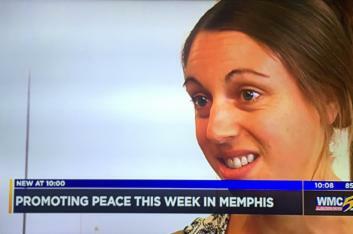 Campaign Nonviolence Memphis garnered a considerable amount of local publicity for their 2018 Week of Action. 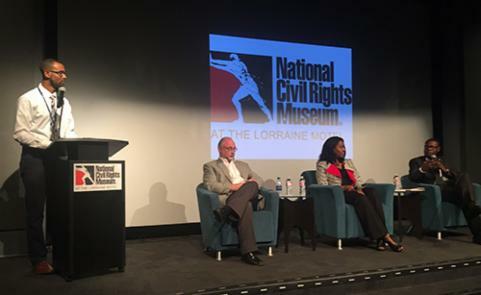 On Friday, Sept. 14th, an op-ed piece in The Commercial Appeal promoted a Community Forum on Restorative Practices and Conflict Resolution in the Schools, held at the National Civil Rights Museum (see photos below). TV cameras were present for Gio Lopez's Nonviolent Communication Training on Monday, Sept. 17th (above top left). 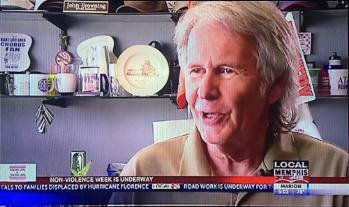 CNV organizer Paul Crum (top right) was interviewed that day by Local 24/CW30. 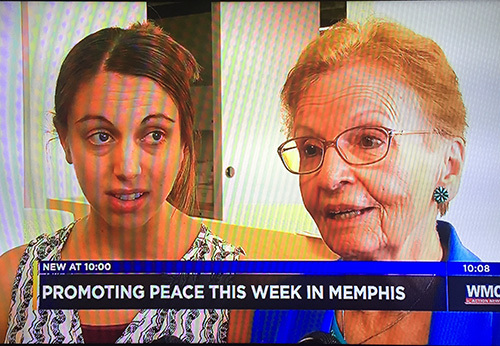 Pax Christi Member Randy Gamble (middle left) also spoke to interviews as did Chairman Monica Juma (middle right) and was joined on camera by organizer and local peace activist Janice Vanderhaar (bottom). 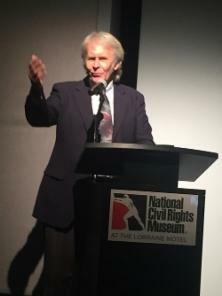 CNV organizer Paul Crum welcomed guests to the National Civil Rights Museum on Tuesday evening, Sept. 18th for a panel discussion on Restorative Justice Practices and Conflict Resolution in Schools. Panelists included Dr. Randy McPherson, Manager, Student Behavior & Leadership at Shelby County Schools, LeTicia Taylor, Licensed Restorative Practices Trainer and Rod Peterson, Oakhaven Middle School Principal. 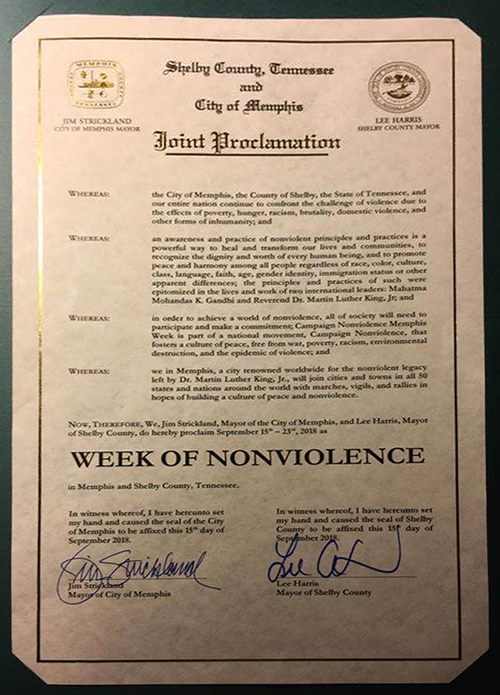 Campaign Nonviolence Memphis will continue to pursue and advocate for the expansion of these programs in our schools. 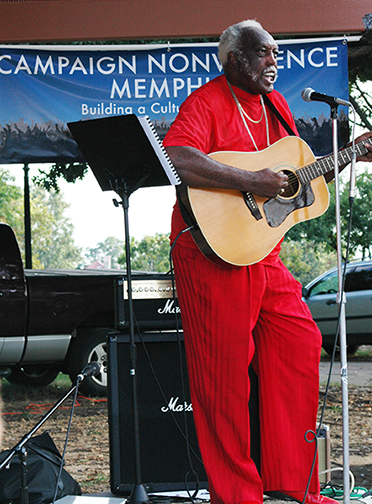 Additional sponsors for the program were Pax Christi Memphis and education advocates STAND for Children. 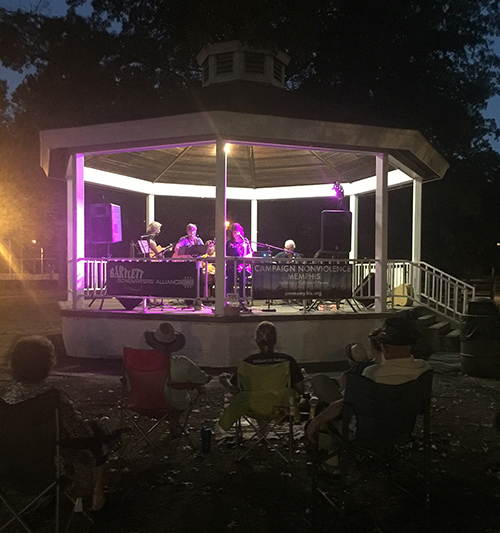 Music fans brought lawn chairs and blankets to Freeman Park in Bartlett for Music for a Nonviolent World on Thursday evening, Sept. 20th. 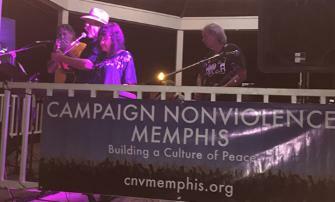 Songs of Hope, Peace and Nonviolence were performed by musicians Sara Williams, Soriana Wood, Ramona McKnight, BJ Banks, Mark Wiklund and Paul Crum. 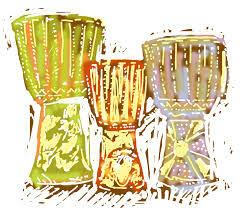 Thanks to all the musicians for donating their time and talent, and to all who attended and sang along. 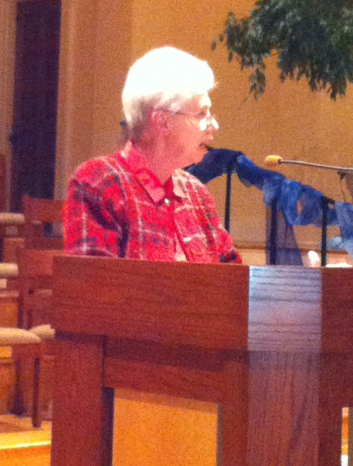 Debbie Burch organized 108 Sun Salutations for Peace and Nonviolence. 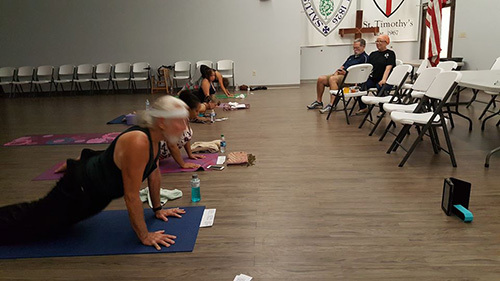 Yoga enthusiasts gathered at St. Timothy Episcopal Church in Southaven on Friday, Sept. 21st, the fall equinox. 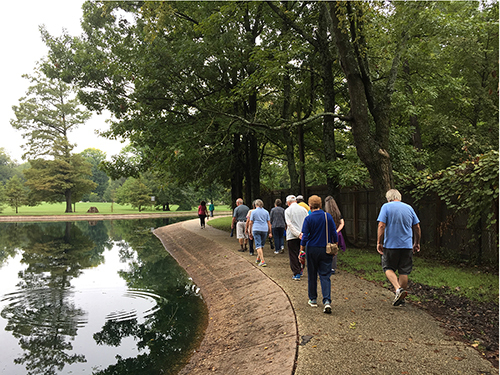 Participants wrapped up the Week of Action with a Mindfulness Walk for Peace and Nonviolence around Rainbow Lake in Overton Park on Sunday, Sept. 23rd. 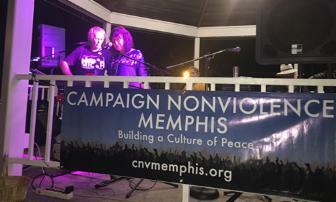 Campaign Nonviolence was also represented at the Memphis Peace Conference the following weekend (Sept. 29th). 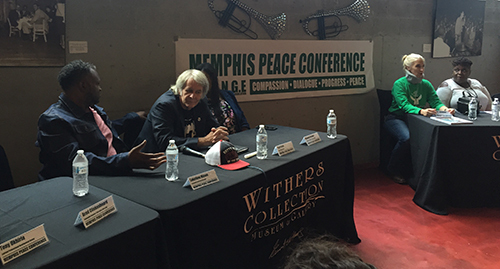 Events included a panel discussion of spiritual and community leaders at the Withers Collection Museum and Gallery on Beale Street, and a visit and talk from Sri Viswayogi Viswamjee Maharaj. Photos from the 2014 week of action. 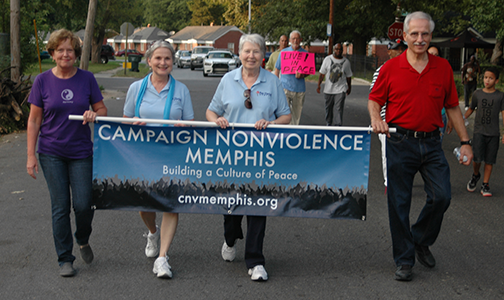 Campaign Nonviolence Memphis held a Community Forum on Gun Violence last night as our week of action continues. 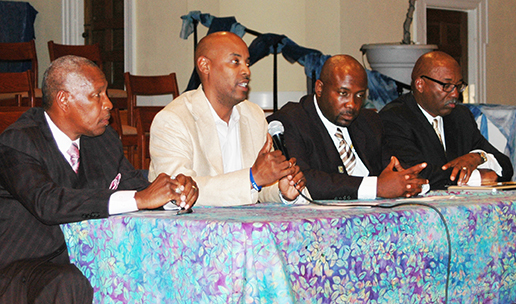 Memphis is ranked as the nation's 5th most violent city, but plenty of people are working to change it, including these four gentlemen who comprised our panel: (pictured from left) Stevie Moore of Freedom from Unnecessary Negatives, Elgin Tunstall, Violence Intervention Liaison at Regional One Health Center, Delvin Lane of 901 BLOC (Better Lives, Opportunities and Communities) and Bishop Mays, Jr., Director of the Memphis Gun Down program. 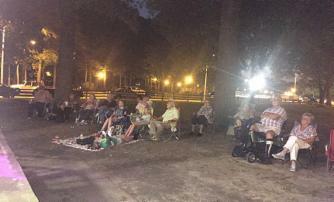 Attendees heard from several other speakers representing community groups and city & county agencies. 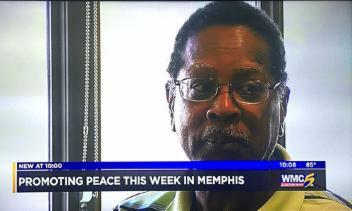 Memphis Mayor A C Wharton was also present to praise the efforts underway to stem the tide of gun violence, and to present the challenges we face in our work. Thanks to Cheryl Cornish and First Congregational Church for hosting us once again. 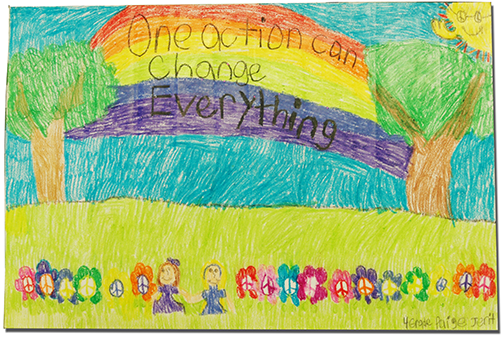 Paige Jerit from the 4th grade class at St. Agnes Academy created the grand prize winner in our poster contest. The UN International Day of Peace. 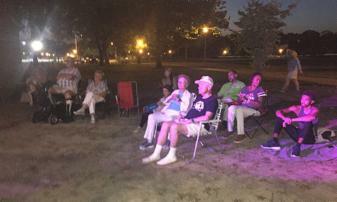 at the Sing a Song for Peace Event on Sunday. Saturday, Sept. 20th. Fr. Charlie put us all in the right frame of mind for a great week of nonviolent actions. we can do to create a more just environment for all. the Pride Parade down Beale Street.